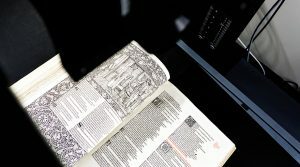 When UBC Library acquired the Kelmscott Press’ Works of Geoffrey Chaucer in 2016, the book’s preservation story was just beginning. 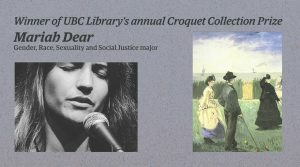 UBC fourth-year student Mariah Dear is the second winner of UBC Library’s annual Croquet Collection Prize. 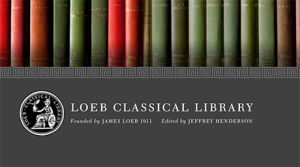 Users can now browse, search, bookmark, annotate, and share content across more than 520 volumes of Latin, Greek, and English texts. 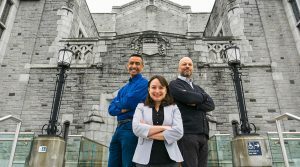 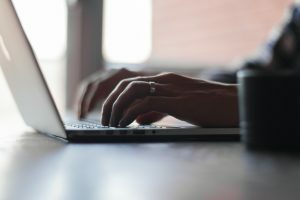 An endowment established by UBC’s class of 1932 is funding the Library’s annual contribution to Knowledge Unlatched, an Open Access scholarly ebook platform. 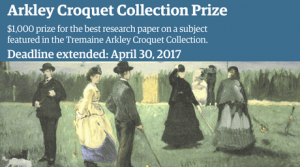 UBC Library now accepting submissions for 2nd annual Arkley Croquet Collection Prize. 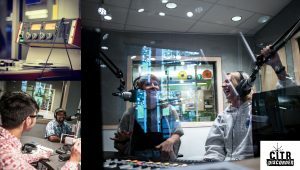 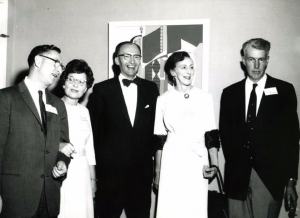 These audio recordings are a cultural record of student life and voices from the UBC community spanning 70 years.